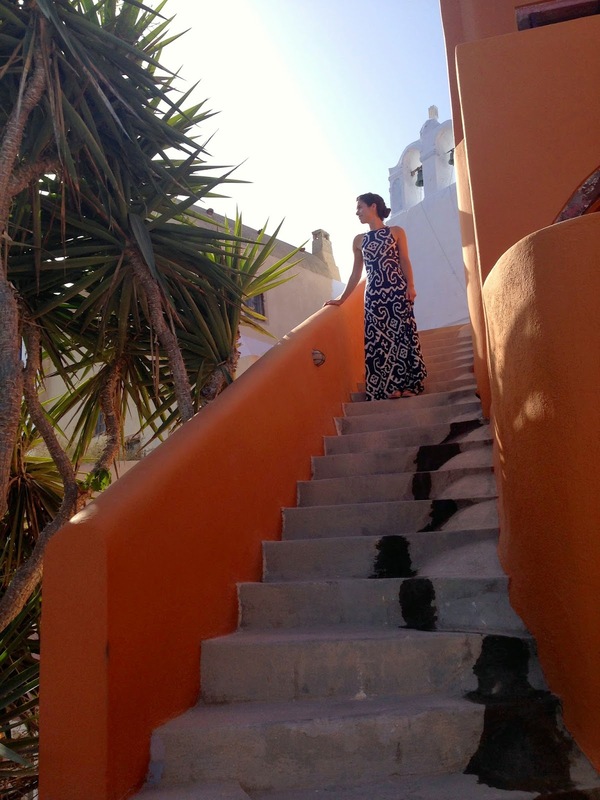 After an absolutely perfect wedding celebration with my closest family and friends, I jetted to an equally magical honeymoon setting: the island of Santorini, Greece. As a child, I remember my mom talking about her travels through the Peloponnese peninsula, meeting distant relatives, and speaking Greek. 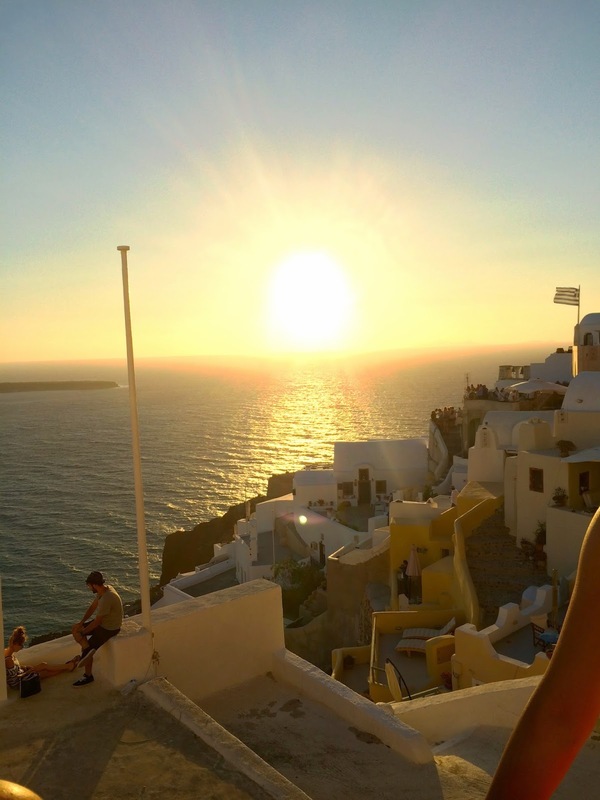 Marni had a similar opportunity in college to explore Greece, more specifically the isles, as well as Athens and across the way to Cyprus on work trips. It was now my turn to tap into my heritage and finally travel to the highly anticipated vacation spot! My now husband (so fun to say!) 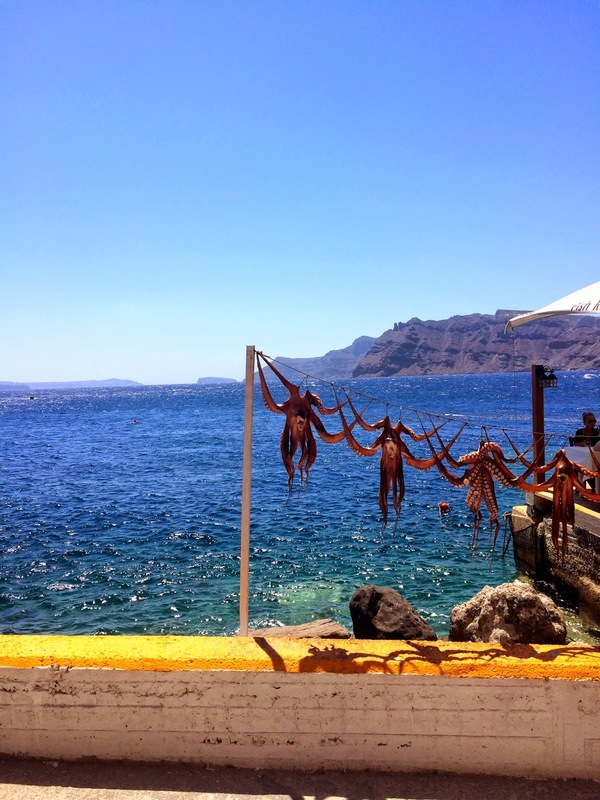 and I stayed in a quaint orange clay-colored cave house on the Aegean Sea in Santorini’s small village of Oia. 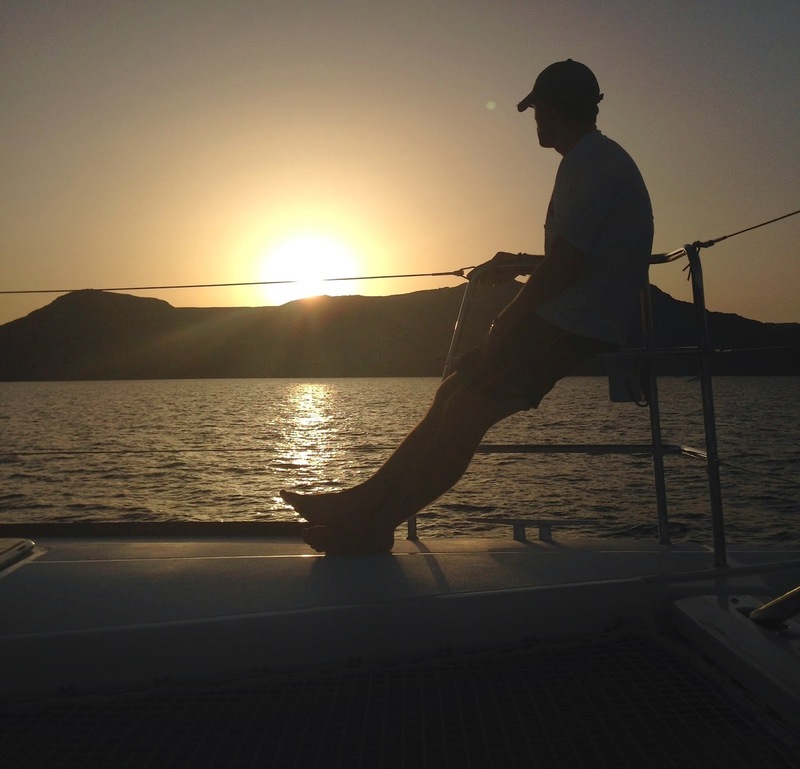 The beauty of Oia is unsurpassed and is famed for its majestic sunsets. Upon arrival, we explored the town overlooking the caldera, meandered through the marble pathways, and with feta on the mind, eagerly sought out the local cuisine. I stumbled upon a small, white-stoned taverna off the beaten path and was greeted by an incredibly friendly and warm Greek woman. She immediately filled our glasses with house red wine as we looked over the menu that featured an array of traditional Santorinian meze options. I ordered a Greek Salad, the pie of the day (stoked it was zucchini), and one of Santorini’s famed dishes- tomatokeftedes. Traditional Greek Salad- blocks of feta, chopped tomatoes, red onion, peppers, kalamata olives, cucumbers, capers. . . .and no greens! Tomatoes thrive on the island due to its dry conditions and insane amounts of sunlight, so it was no surprise that tomatokeftedes (tomato fritters) are common meze or vegetarian sides. While most people might opt to make a fritter using a different vegetable-Marn and I usually opt for zucchini (recipe here! 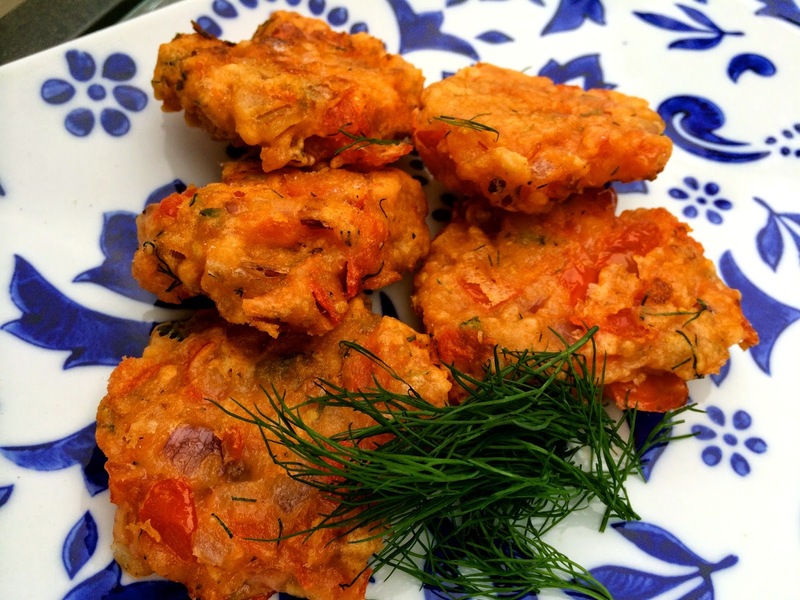 )- I loved the texture and flavor of the crispy, subtly sweet and juicy tomato fritter. Upon arriving back to the Connecticut countryside, I found myself surrounded by local tomatoes, so decided to try my hand at making the vibrant fritters for a recent Labor Day gathering. I served the crispy rounds alongside a cool and creamy Tzatziki sauce while reliving my Grecian getaway with friends. Combine all the Tzatiziki ingredients in a bowl and refrigerate. To make the fritters, rinse the tomatoes well and dry with paper towel. Transfer to a large bowl and squeeze the tomatoes so the smooth pulp falls into the bowl. Add the onions, mint, basil, parsley, oregano, salt and pepper pepper and mix well. Add the flour gradually until you reach a thick pancake-like consistency. Let the mixture rest in the refrigerator for 30 minutes. Pour the oil in a large frying pan. When the oil is hot, carefully drop in flattened tablespoons of the mixture and fry, in batches, for 3-4 minutes on each side. Cook until the fritters are crispy and golden brown. Transfer to a lined plate, sprinkle with an additional dusting of salt and serve immediately on a platter with the Tzatziki for dipping. Makes 11-12 fritters.